Ask fellow campers about "Peach Country RV Park" and nearby attractions. Peach County is a fine CG if you are in the area to try the wineries (dozens of them) or see the LBJ sights. It is well-maintained. The interior roads are dirt/gravel and so are the sites but everything is level and well-planned. There is some shade but the trees are not big. There are on-site manager/campers who are very nice. FHUs work and the wi-fi is actually good. There is little or no tv reception and no cable. Not a charming CG but well-located and fine for a visit. We camped at Peach Country RV Park in a Motorhome. This lovely park had wide, paved roads and a variety of site lengths. We needed a long site, and there had two rows of long sites to accomodate big rigs, big fifth wheels and class C motorhomes with a truck pulling a trailer carrying a trike (us)! The sites were crushed granite with well-placed full hook-ups. No cable, but several over the air channels. Nice wi-fi. Close to the road, but the noise wasn't a nusiance. Each bathroom had only two stalls and one shower, but they were exceptionally clean and located inside the Rec Hall. There were a washer and dryer in two locations. There also is a fenced dog park that we used with our dog each day. We also enjoyed sitting in the white rockers under the veranda at the Rec Hall! Next door is a wonderful small town restaurant where we ate breakfast. The restaurant also offers daily lunch specials and dinner specials on the weekends. The pace is a little slower here, which we love. The people are friendly and the managers live on site. We definitely plan on staying here in the future. The managers did tell us that snowbirds like to stay at Peach Country starting in November. We camped in a class C motorhome. We camped at Peach Country RV Park in a Motorhome. The location is a good one for exploring the hill country around Fredericksburg, Tx. Close to LBJ national historic site and LBJ state historic area as well as several wineries, Frederickburg Trade Days, Wildseed Farms, Luckenbach, Old Tunnel State Park (watch the bats! ), and Johnson City (Saturday trade days), and Garrison Bros. bourbon distillery. There also is a gourmet chocolate shop less than a quarter mile from the RV park. Not much here. Good location. No pool or cable. We camped at Peach Country RV Park in a Fifth Wheel. We stayed here for 5 nights to be able to visit the LBJ state and national parks and the city of Fredericksburg. The parks were just a couple miles down the road and the city about 15 mile. There are many many wineries in the area. The office staff lady was very very helpful with information and driving suggestions so we could take more scenic drive. Lots were sunny and open. Site surface was gravel and featured a picnic table. We camped at Peach Country RV Park in a Fifth Wheel. Many, many little shops and restaurants in Fredericksburg. Tour the LBJ Texas White House and ranch. A must do! We stayed for a month so the cost was considerably less than stated above. The sites are all pull-through and level with a small grass area and cement pad for the picnic table. The roads are gravel and are nice and wide. The park is full of winter snowbirds with some community activities (pot-luck, bingo and monthly breakfast). The clubhouse regularly has women doing quilts and sewing. The park is mostly quiet with the exception of some highway traffic noise and farm animals making noise next door. We camped at Peach Country RV Park in a Motorhome. The campground is located in the country at Stonewall but close to Luckenbach for music, and between Fredericksburg and Johnson City. There are lots of wineries in the area (40-60). A good restaurant is the Pecan Street Brewery in Johnson City. Some of the smaller towns have some fun shops, restaurants and wineries (Boerne, Blanco, Johnson City, Comfort). Because stores and restaurants are open over the weekend they often are closed on Monday and Tuesday. Vey friendly staff, and a very well maintained park. Far enough off 290 and close enough to Fredericksburg. Stores close by. The rigs are nice and the people are quiet and friendly. Great place to stay if you're visiting the hill/wine country. We camped at Peach Country RV Park in a Travel Trailer. There's a convenience store across 290 from the park, and another larger store about 5 miles towards Fredericksburg. Wal-Mart on the south side of 290 just as you get in to Fredericksburg. A very nice experience for us. We are new to RVing and all the folks here made us feel welcome (there are many long time regulars). Nice & quiet, clean shower (only one -but it was always available when we needed it), nice clubhouse. Great location as Stonewall is centrally located to all the sights (LBJ ranch, wineries, Luckenback, Johnson City, Fredricksburg). We camped at Peach Country RV Park in a Travel Trailer. Be sure and go to LBJ ranch, wineries, Museum of the Pacific War. A no frills park; located between Johnson City and Fredericksburg. A nice park with adequate shade. We camped at Peach Country RV Park in a Fifth Wheel. This is a park we have watched since they started scraping ground. We finally decided to try it. A no frills RV park with large sites and adequate shade. Utilities were good and OTA TV provided national networks for news and weather. Centrally located for the many winerys as well as the LBJ Ranch State and national park. Sites varied in size from adequate to very large. Plenty of room for 5er and truck with some space leftover. We camped at Peach Country RV Park in a Fifth Wheel. Was big rig friendly. Wi-fi worked very well. Our spot was a little close to neighbor, but spaces were very long. Overall a great park. If ever back in area we would stay again. Satellite worked and so did tv antenna. We camped at Peach Country RV Park in a Motorhome. Close to LBJ ranch - pleasantly surprised how much we enjoyed both visitor centers. Great park with pea type sand gravel and level sites with ample space in between sites. The interior roads of this park are very easy to navigate in a big rig with your tow vehicle hooked up. The hosts were friendly and very helpful. 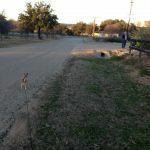 The park itself sits close enough to the LBJ Ranch, and Fredericksburg which allows you the opportunity to tour a lot of places in the hill country. We camped at Peach Country RV Park in a Motorhome. Take in a tour of the LBJ Ranch which includes the Johnson's home as well as the airplane hanger which contains Air Force One. Don't forget to go into Fredericksburg to visit the Winery and you MUST make a trip into the Chocolate store. Sites are large and level, nice club house. Good location for area site seeing. Easy in & out. We camped at Peach Country RV Park in a Motorhome. This is one of the best parks in the Hill Country Area. The managers are fantastic and very accommodating. The sites are very long with grass between each site. Picnic tables on concrete pads and most sites have a tree or two. The bathroom and showers are clean. The clubhouse was fantastic. You are very close to a dozen or more wineries and Fredericksburg. We will definitely stay here again. We camped at Peach Country RV Park in a Fifth Wheel. RV pads were pea gravel and level. Plenty of space for the tow vehicle. All employees we had contact with were always helpful and always had a smile. We camped at Peach Country RV Park in a Fifth Wheel. We have been coming to Peach Country R.V. for approximately 10 years. We keep coming back! The park is always very clean and kept. The sites are very spacious, have green grass, trees (but not enough to interfere with satellite), good electricity, good water pressure. The park is centrally located so that you can go any direction and have things to do (i.e., Fredricksburg, Johnson City, Kerrville, Blanco, etc). The manager and her husband are very people friendly and helpful. We will continue to stay here!! We camped at Peach Country RV Park in a Fifth Wheel. Good BBQ at Cranky Franks in Fredericksburg. LBJ memorial park, great place to visit. Lindigs cafe right next door with good food and reasonable prices. Fredericksburg west 12 miles and LBJ ranch and park about five miles east. Ranch house now open for tours given by park rangers. Trade Days every 3rd weekend. Grounds about 6 miles west of park. 30 winerys in the area so there is plenty to do and see. Good value as electricity is included even for long term. No amenities such as pool or kids area. Winter folks made up the majority of rv'ers when we were there. Laundry consists of two stackables in office area, so unless you have w/d in your rig you'll be going to town to do laundry. Several laundries to choose from in Fredericksburg. Are you affiliated with Peach Country RV Park ?